Over the past 6 years, we have asked consumers for feedback of the products they tried through the Welcome Box at Center Parcs. Use, valuation, brand awareness and repeat purchase intent are measured. But in the end we also want to know whether the consumer actually started buying the product after they tried a product. That is why we started a feedback survey in which the consumer is asked a number of questions 6 months later. How often have you purchased this product in the past 6 months? 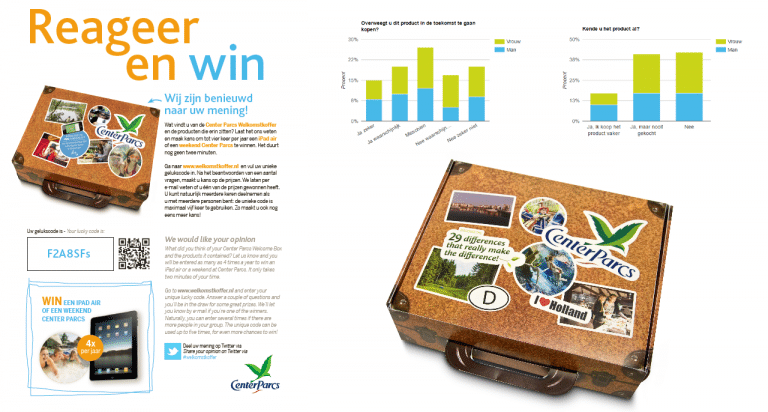 Meanwhile, over 10.000 consumers have completed this survey for more than 20 different products of the Welcome Box. Below you can see some of the results that result from this. 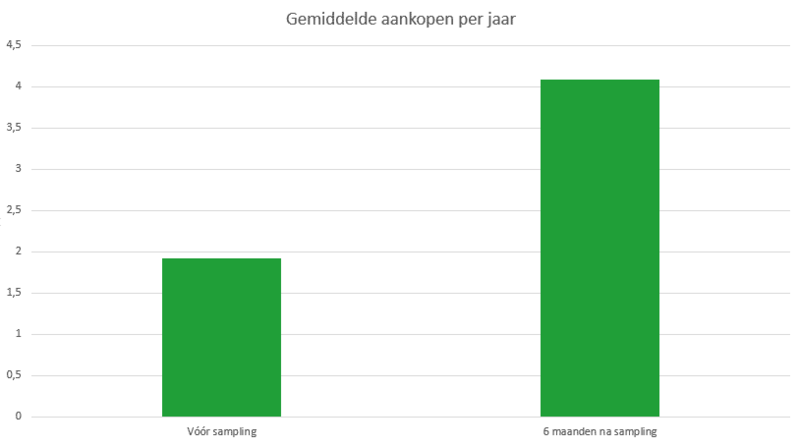 For example, in figure 1 we see that the percentage of consumers who buy the product almost doubles after 6 months. Figure 2: Doubling number of annual purchases. More than half of the consumers indicate that they would not have bought the product if they had not come into contact with the product. Of course, the question remains to what extent these results can be attributed to the sampling, as other marketing activities often take place, but that is something that should be considered per product. If you want to know more about our feedback options and results, please contact us.